The Hamilton Spectator – Do you have the face of Pope Francis? Do you have the face of Pope Francis? Renowned Hamilton sculptor Gino Cavicchioli is hoping to send some white smoke up the chimney soon. You see, he’s trying to choose someone to serve as pope. So, do you think your feet would fit, Cinderella-like, into the shoes of the fisherman? It’s not your feet Gino’s interested in, of course, but your face, and it’s not just any pope he wants you to look like. It’s the new one, Pope Francis, for whom the artist feels a powerful admiration. “I have a burning desire to celebrate this pope with my work,” says Gino. Black smoke from the chimney, figuratively speaking. “Pope Francis has a very unique appearance, not a common look,” says Gino of his subject’s face. It’s hard finding that certain infallible someone, that Mr. Right (first name Always — but only when it comes ecclesiastical matters) who can stand in for the Bishop of Rome. Actually, that often misunderstood doctrinal attribute of the papal office (infallibility) is the one that least reflects the character of its current occupant. What most appeals to Gino about Pope Francis is his humility. “He showed up at the Vatican Conclave this year with holes in his shoes. In Argentina while he was Archbishop of Buenos Aires, he rode the bus to work, declining private car and driver. He is a champion of single mothers. 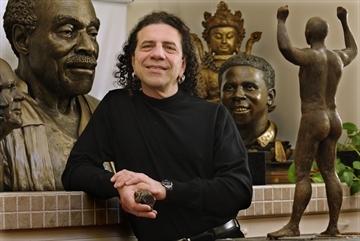 Gino, who has done busts and larger sculptures of well-knowns such as Lincoln Alexander and Gordon Lightfoot, is so taken by the new pope that he wants to sculpt him even without a commission. It is something he does every so often when the spirit strongly moves him. This was how he came to do the Lightfoot bust. Gino’s plan is to model the sculpture in clay, working from photographs and live sittings with a look-alike. But, says Gino, the middle to final stages ideally require live sitting with the actual subject. “I’ve been in communications with Father Robert Wong, executive director of the Jesuit Development Office in Toronto, with my ‘sitting’ appeal. Father Wong has described this as a tall request, but we have not given up. So do you think you could sit as the Vicar of Christ, pontifex maximus? Do you look like Pope Francis? If you fit the description, please contact Gino at gino@ginocavicchioli.com or www.ginocavicchioli.com or 905-549-2638. Please provide a photo if you can. For Gino, the project has special meaning. Growing up in Rome, he served as an altar boy at the Vatican and admired the great masterpieces of Bernini and Algardi. His family moved to the Hamilton area in his teens. 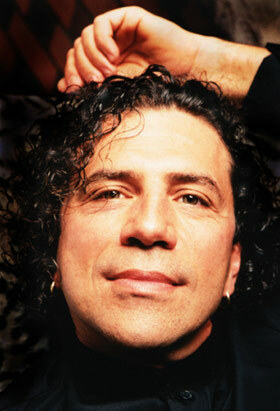 The sittings will take place in Gino’s Hamilton studio, with incense burning and Gregorian chants.